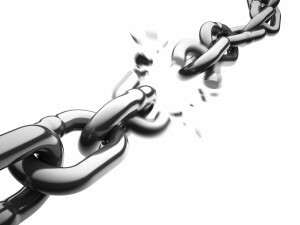 Home» Online Business » 40 Rules Book Project » What are Your Business’s Weakest Links? What are Your Business’s Weakest Links? As an owner of an Internet business, you’re going to have to rely on a lot of different products and services from other companies in order to run your business. You’re going to need to rely on a web-hosting company to host your website. You will need to rely on content management system software like WordPress or Drupal to manage your website. 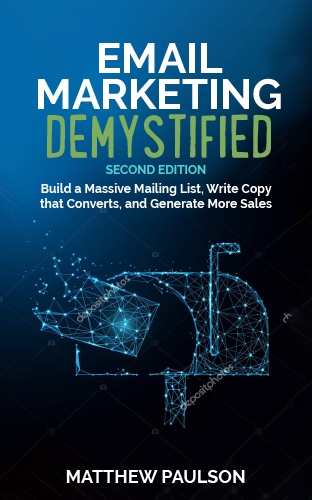 You might need to rely on an email marketing provider like MailChimp (www.mailchimp.com) or Aweber (www.aweber.com) in order to manage your email list. You’ll need to make use of payment processing services like PayPal and Stripe. If you’re a publisher, you’re going to need to rely on an ad-network like Google AdSense (www.google.com/adsense). If you’re selling digital products, you might need to make use of an ordering and delivery service like Gumroad (www.gumroad.com). Regardless of what type of Internet business you’re going to build, it’s important to recognize how many different companies that you’re going to be dependent upon to run your business. While other companies can provide you incredibly powerful tools and services to build your business with, it’s important to recognize that they aren’t always perfect and can be prone to failure. The companies that offer you services like web-hosting and payment processing also have the right to stop doing business with you just about whenever they want unless you’ve signed a contract with them. This can be a dangerous proposition if you are totally reliant on one company for a critical component of your business. What would happen if your payment provider were to decide that they didn’t want to accept money on your behalf anymore? What would happen if the web-server that hosts your website crashed? What would you do if the ad network that generates the vast majority of your revenue kicks you off their network? These worst-case scenarios do happen to entrepreneurs on a regular basis, so it’s important to be prepared them. By relying only on one company for something like payment processing or web-hosting, you’re creating a single point of failure that’s completely out of your control. While it’s largely inevitable that these single points of failure will exist within your business, it’s important to identify them and have a plan B if something were to go terribly wrong with a company that you’re working with. Often this means having an account setup with one of the company’s competitors and having an action plan to make a quick switch over to the competitor if the first company is having issues. For example, I rely both on SendGrid (www.sendgrid.com) and Amazon SES (aws.amazon.com/ses) for email delivery. In the event that one of them is having major issues, I can quickly switch over to the other provider. I also accept payments for all of my company’s products and services through both Stripe and PayPal, so if either of those companies decided that they didn’t want to process payments for me anymore, my customers would be able to continue to order my company’s products and services. As an online entrepreneur, you might first recognize that your business has a single point of failure when your website goes down. If the web-server that hosts your site has some major issue and the web-hosting company can’t get your site back up, you’re basically out of business until they can figure what went wrong and can get your website back up. For this reason, it’s really important to select a well-respected hosting company from the start, regularly create backups of your websites and have a secondary hosting option waiting in the wings if there’s a problem with your web-host. My network of financial news websites receives anywhere from 2 million to 3 million page views each month. If the dedicated servers that host these websites are down for a day, I’m out anywhere from $1,500 to $2,500 in lost ad-revenue and email sign-ups. For this reason, I create weekly backups of all of my websites using ManageWP (www.managewp.com) and spread my websites across two different servers. If one of them were to fail, I could temporarily move the sites on that server to my other dedicated server using the weekly backup and only have a few hours of downtime at most. While these worst case scenarios tend to be quite rare, it’s important to plan ahead for them. By knowing what companies have the capability of shutting down your business in a day if they’re having issues or decide to stop doing business with you, you can have a ready-to-go plan B in the event that a worst case scenario does occur.